VISTA ALEGRE - Gemstone - Whisky Decanter (Ref # 48001430) Handmade Crystal - Whisky Decanter with Gold Gemstone. Innovative concept range, representing a precious stone born from a piece of mineral, Gemstone is a toast to festive occasions, particularly where luxury reigns. 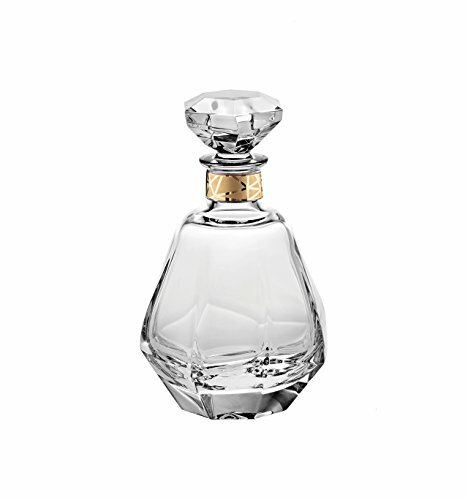 - Style: Classic Part Type: Whisky Decanter Product type: Crystal 30% Height: 210 mm Length: 130 mm - Weight without Package: 1850 gr - Use restrictions: Not suitable for microwaves. Not suitable for dishwasher. If you have any questions about this product by VISTA ALEGRE - Gemstone - Whisky Decanter (Ref # 48001430) Handmade Crystal, contact us by completing and submitting the form below. If you are looking for a specif part number, please include it with your message.